MF Communications recently achieved a perfect score from one of our customers in the telecoms industry based in Columbia. Carrying out their annual supplier audit, the company gave MF Communications top marks in areas such as “reliability” and “competitively priced” “during and after sales service”, “fulfilled the objective and scope of the project”. MF Communications values our customers and always strive to provide the highest level of service. 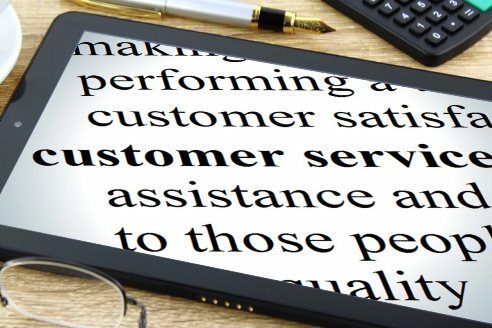 We have built our reputation on the quality products and services that we offer, but equally, we think it is important to listen to our customers too. After all, it is your business and you are the ones who are benefiting from the business communications you put in place. MF Communications supplies business telecoms solutions, business phones, PBX systems, remanufactured parts, equipment and business telecommunications services to companies in over 100 countries, worldwide. Our team of business telecoms engineers and telecommunications experts share extensive telecoms industry experience, a strong reputation for providing quality products and exceptional customer service and care. MF Communications has an extensive range of business phones, PBX system and telephone system parts including new, remanufactured and refurbished products in stock. Experienced, accredited and fully qualified telephone system engineers provide telephone system maintenance and phone system support to companies in the UK. Our in-house telephone system engineers provide expert knowledge and experience in keeping your telephone systems working for your business. We offer telephone system maintenance for new and legacy PBX systems that are no longer in production or supported by the original manufacturer. MF Communications provide, manage and support business telephone systems. Our clients can call directly for help and assistance; and by offering only carefully tailored services to meet your needs, our business telecommunications solutions will continue to work for you as your business grows and develops. Our business telecoms solutions range from providing business telephones and lines to providing business broadband and a range of hosted solutions. We also install complete business telephone systems. MF Communications offer telecom solutions and support for UK based businesses of all sizes, from self-employed individuals to international multi site organisations. We can also provide your business with a cost saving phone line contract, high speed broadband and a system servicing and maintenance plan. For more information, please email or call 01892 514687 and ask to speak to one of our UK business consultants.